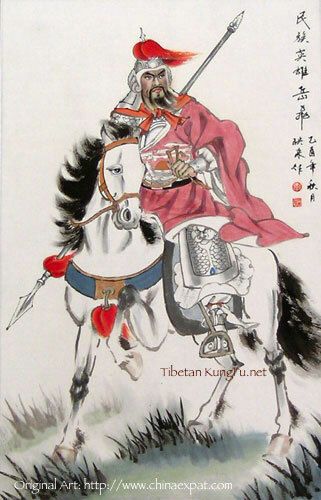 Yue Fei is the Legendary Father of this internal art, dating back to 1100 A.D., as is appropriate for Chinese Tradition, but less likely a historical fact. Kuo Lien Ying learned Hsing Yi and YiChuan. The Taoist Center states that Kou Lien Ying learned Hsingi at age 28 from Huang Gin Yin. Huang Gin Yin and Wang Hsiang Zhai both learned from the same Sifu. I was told by a reputable source, that their are chinese documents that state Wang Hsiang Zhai had Kuo listed as one of his students as well. Since I don't read chinese, at least not old chinese, I take his word for it. 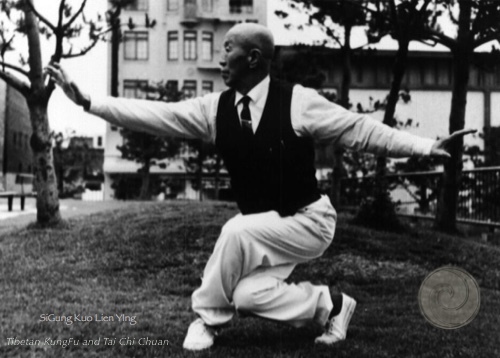 Sifu Chin learned Hsing Yi primarily from Kuo Lien Ying after seeing him do Hsingi at the San Fransisco Police Academy. "Sifu Kou glided across the floor in just a few movements. I knew I had to learn that art." Kuo did not teach it, kept saying, "it is too hard". However, after asking Sifu Kuo many, many times, Sifu Kou agreed to teach him if he paid $1,000 cash (approximately 1964), so he wouldn't quit. When Sifu Chin started to teach me, he also made special requirements of me to learn HsingI around 1996. I learned in stages, with only a few classmates. You Earned your way to the next one with sweat, labor and demonstration of understanding. The first hand that I walked, Tiger Leaping from the Mountain, I walked exclusively with George, Paul, Davey and Kevin for nearly a year. Hsing Yi (and Yi Chuan) is extremely powerful and the techniques do not appear to be complicated. That is its strength and its weakness. Hsingi takes much effort and concentration. When it is engrained in the student, it will make all the other Martial Art and Kung Fu change.